Yesterday (11th October) the Queensferry Crossing set a new world record as the largest freestanding balanced cantilever bridge in the world - whoop, whoop! - but Scotland is home to lots of striking and unique architecture. What's your favourite building or construction in Scotland? 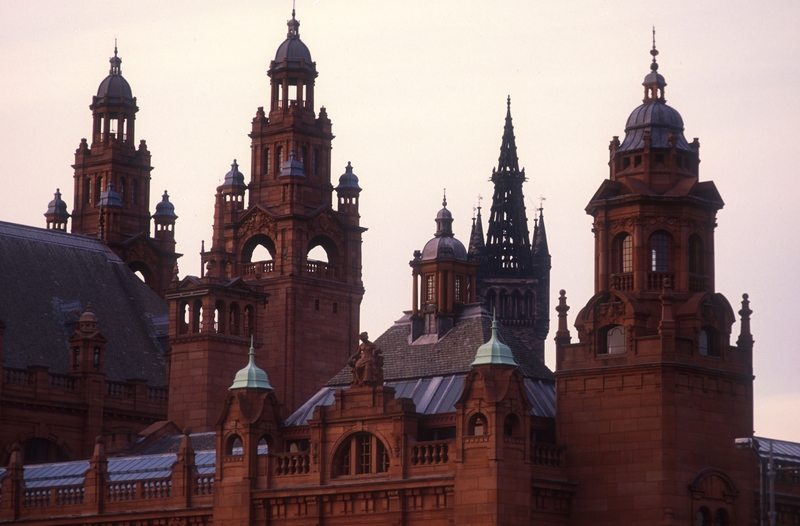 For me it's the Kelvingrove Art Gallery & Museum in Glasgow. The building's architecture combines a variety of styles and its design is simply fascinating! You'll probably spend as much time viewing the building and its architectural details and sculpture as exploring the collections displayed within it! 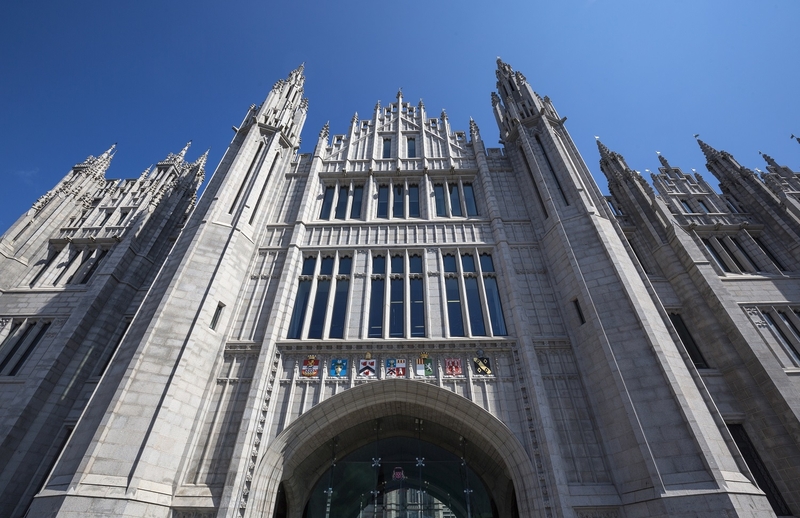 Oh, and one more - the Marischal College in Aberdeen. It's the world’s second largest granite building and it's simply stunning to look at! I would like to know what your favourite building/s or construction/s in Scotland is/are? I don't think I could pick a favorite. I have so many. I do love the old architecture in Glasgow city and I was particularly in awe when I visited Glasgow Cathedral for the first time. 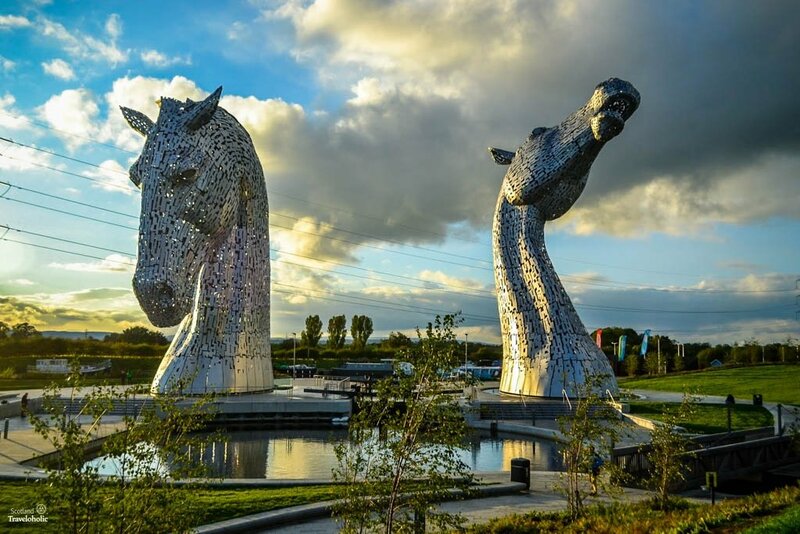 The Kelpies in Falkirk have that wow factor! Skara Brae village at Orkney Islands. To have constructed such architectural gems 5000 years ago is simply brilliant. 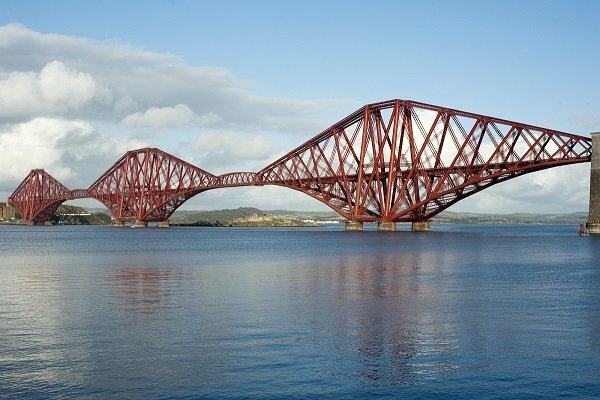 The Forth Bridge. It is a UNESCO site but I have a personal reason too. There is a phrase in Scotland (possibly in general UK English too) used about a never ending job, "it is like painting the Forth Bridge." Back in the day, a team of men would work continuously at painting the structure. They would start from one side of the Forth. When they got to the other side of the bridge they went back and started again at the other side . I know this is true because my grandfather was one of the men who had this job! Scathach has already mentioned Dunottar (my favourite ruin! ), so I'll go with Brechin Cathedral. Sturdily built but wonderfully wonky inside, ancient and full of history - and fabulous acoustics. 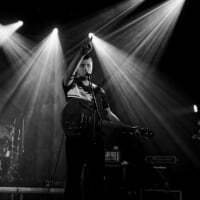 It's a great place to sing or listen to music. Plus it has a round tower next to it, one of just two remaining in Scotland. 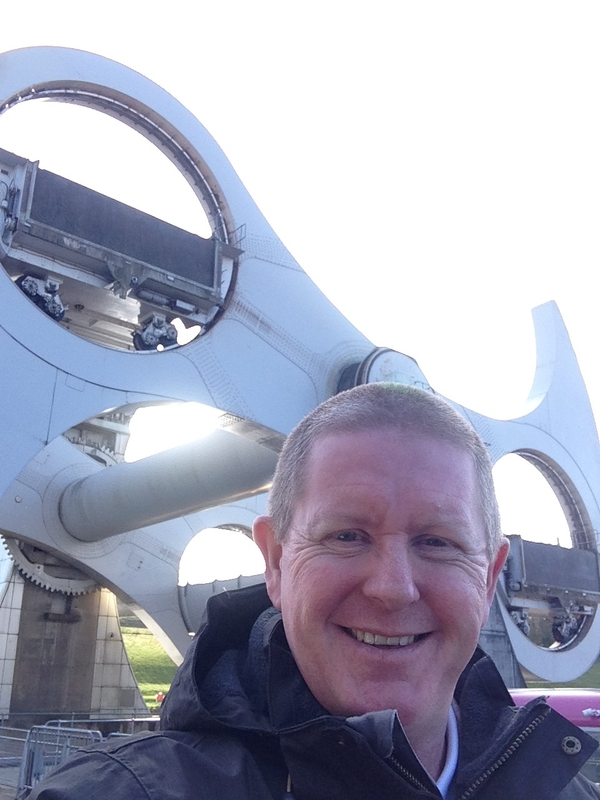 I visited the Falkirk Wheel yesterday and found it to be one of the top man-made wonders in Scotland. A truely fascinating place to visit. 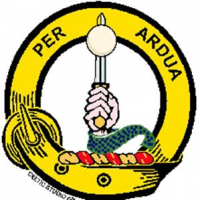 Can't wait for my return visit. Easily the Forth Bridge I can't get enough of it! 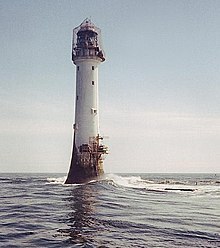 As an Angus lass I have to put forward Bell Rock Lighthouse as my favourite. Built on a submerged reef 11 miles offshore, the story of its construction (during low tide only) is a remarkable tale of engineering ingenuity and bravery, and it is still doing its job 200 years on. I love the fact that one horse, Bassey, moved every one of the 2500 blocks of stone required from the stonemason's yard to the harbour. 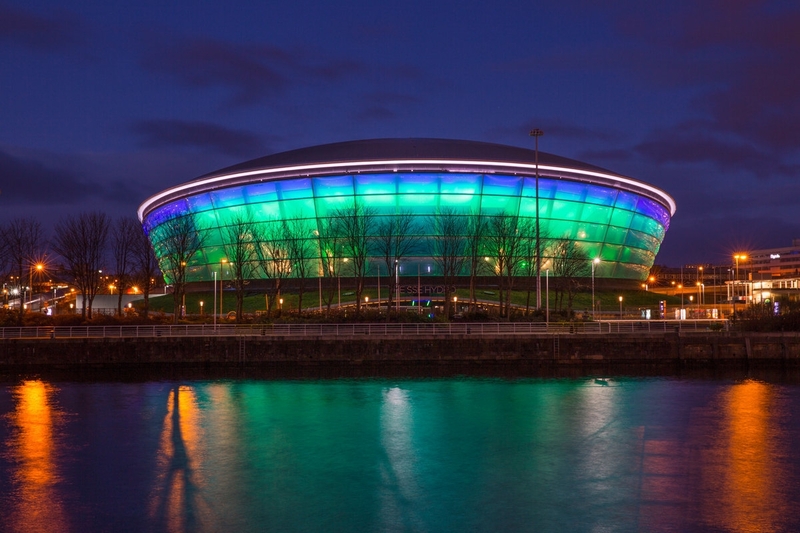 It's been built more recently than a lot of these buildings, but the SSE Hydro in Glasgow is a spectacular building! Beautiful when lit up at night!